10 Celeb Outfits EVERY Girl Can Rock - Here’s How *We* Looked! 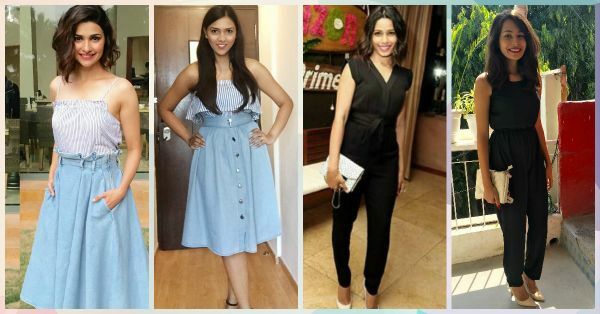 Celebrities look gorgeous and we’re constantly inspired by their on-point style. From wanting the patiala that Kareena wore in Jab We Met to that dress Alia wore in Student Of The Year, our list is never ending. 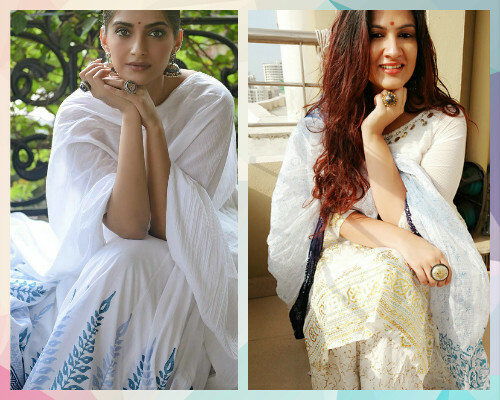 Being the true Bollywood fans that we are, we at POPxo decided to recreate some fabulous celebrity outfits. Well, the results turned out to be really interesting and we managed to replicate these outfits in a budget. Who knew dressing like a celeb was this easy! Read on to find out how our experiment turned out to be! Have fun ladies! 1. As Poised As Prachi! 2. 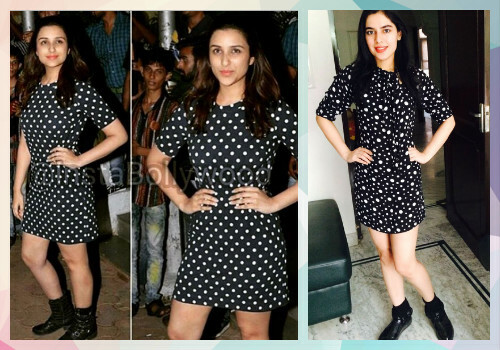 ‘Cool For The Summer’ Just Like Parineeti! 3. As Stunning As Sonam! 4. Just Like Deepika - The Diva! 5. 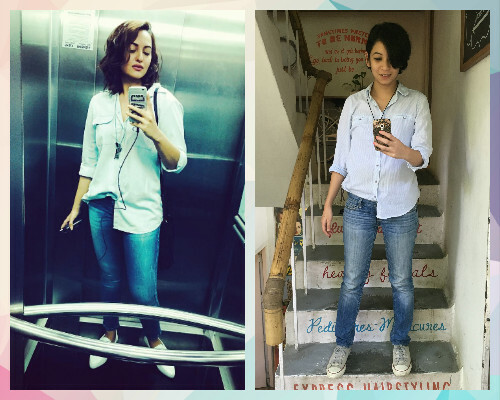 Keeping It Casual Like Sonakshi! 6. 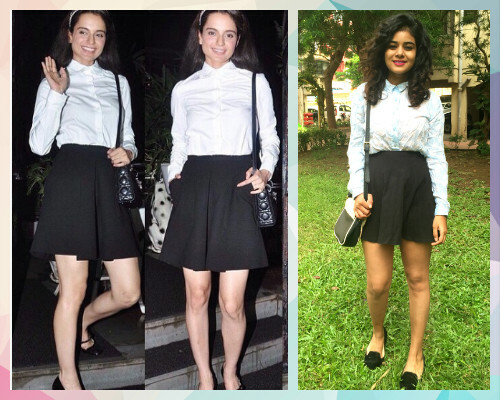 Let’s Keep It Classy Like Kangana! 9. 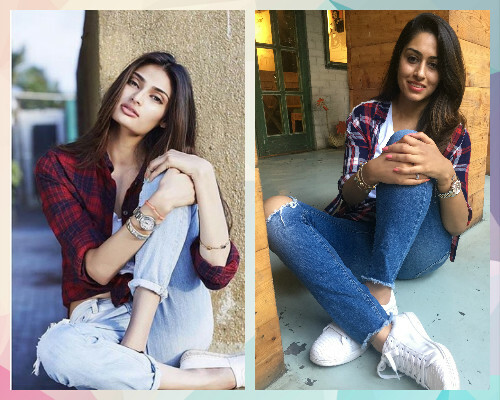 As *Amazing* As Athiya! 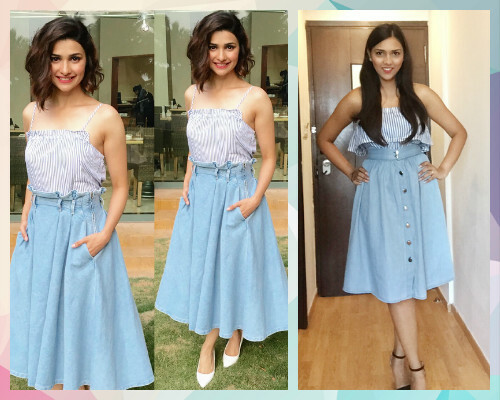 Image: Parineeti Chopra on Instagram “I had somewhat similar dress and shoes, so it was quite easy for me to recreate this look. 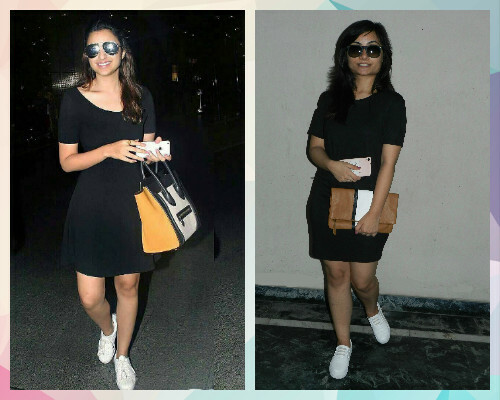 Parineeti has a cool and casual style... 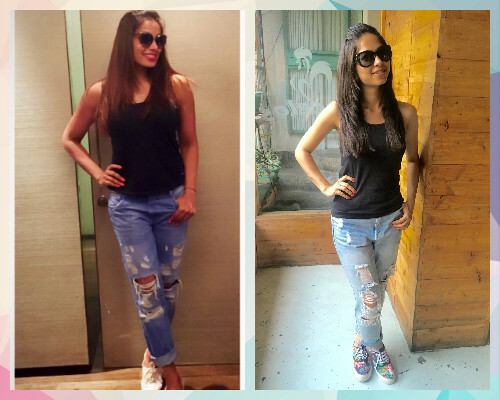 So if you want to dress like a celeb without putting in much efforts then you know who to turn to! 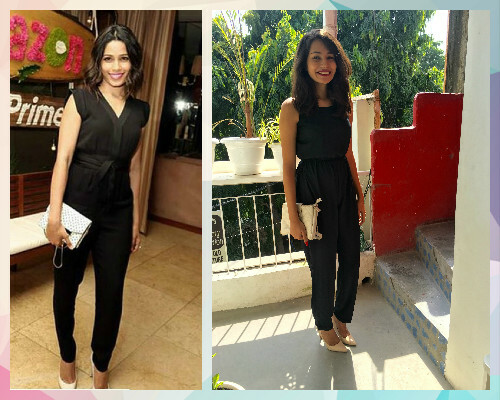 ;-)” - Geetam Bhardwaj, Copy Editor Shop the look: Forever 21 Women Black Heeled Boots (Rs 1,789), Monochrome polka dot printed dress (Rs 629) So, now you know where to get these amazing outfits from! Let’s get going!